Free 2 Day Shipping Ends Today! EXCLUSIVE SAVINGS! 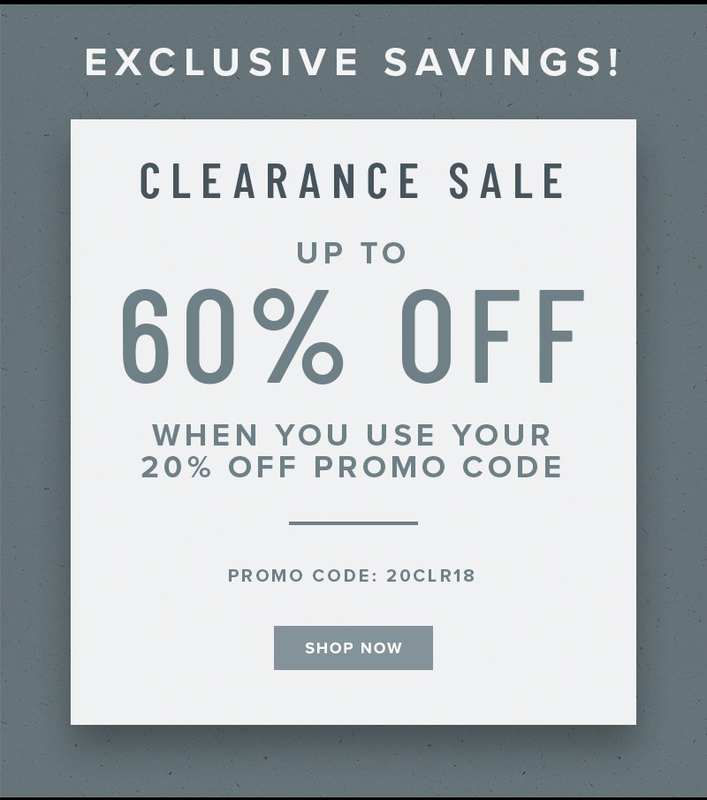 Save up to 60% on clearance when you use your 20% off promo code "20CLR18" during checkout. Offer only available for a limited time at www.florsheim.com, while supplies last. Offer cannot be applied to previous purchases or the purchase of gift cards and cannot be redeemed for cash or used in combination with any other offer. Replies to this mailbox are not monitored. PleasecontactCustomerService for help. This special offer was sent to by Florsheim. $59.90 $69.90 $79.90 deals end soon! Prices as low as $59.90! Last chance! Our best discounts.